Since the release of their debut single ‘Scenic Drives’ in 2017, Insomniac Bears have continued to deliver lyrical vulnerability, sonic experimentation and honest pop-anthems. 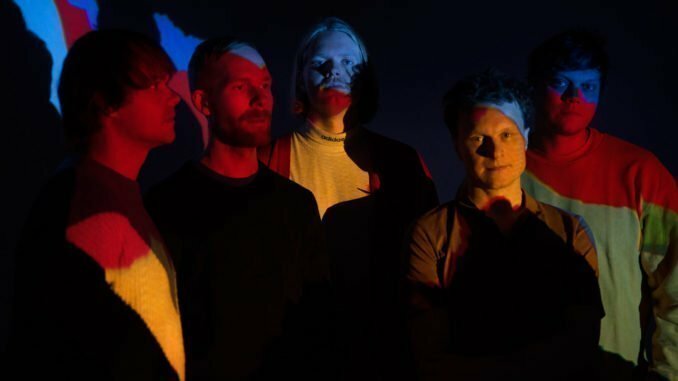 The band is a vibrant combination of established Norwegian musicians; multi-instrumentalist Marius Ergo (Lukestar, Kaospilot & Snöras), Rumble in Rhodos-singer Thomas Bratlie Haugland, Team Me-frontman Marius Drogsås Hagen and songwriter/violinist Magnus Moriarty. Since their last release, they have also included Axel Skalstad (Krokofant ++) on drums as a permanent member. The shifting combination of players has motivated the group to explore new sounds and ambitious arrangements that combine ferocious guitars and gleaming melodies that pierce through psychedelic backdrops. Perfectly marrying rock elements with a pop sensibility, they travel to unexplored territory with their distinctive songwriting.